Truth is, between 2000 and 2012; wages remained flat or declined for the bottom 60 percent of the wage distribution. Over that period, productivity grew by almost 25 percent and its benefits found a home elsewhere. People don’t ‘believe’ they are stuck – they ARE stuck. As I pointed out in an earlier article on the ‘precariat’, 62 percent of jobs in the US pay less than $20 an hour, and 42 percent less than $15. Put that together with the need to own a car in most places just to get to work, the ever-present out-of-pocket health costs, and all the other costs of survival – and being stuck is not just an impression gained from seeing rich people walking their poodles. Clinton has referred to Piketty’s conclusions about the relative returns on passive investment versus productive activity as evidence that we are undermining the value of work. 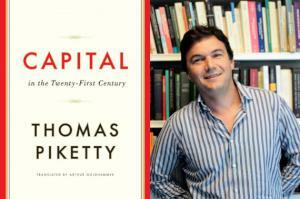 Whether or not this is an acceptable gloss on Piketty’s conclusions, she is right in another very real sense. 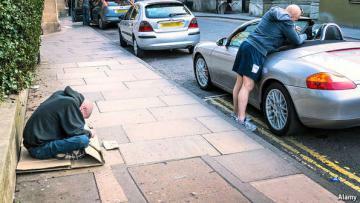 Work for a great many people has become a low-paid, physically destructive affront to human dignity. The anger generated by this experience of being at the bottom of the heap, “the daily insults they suffer from their employers, from their government, and from more educated fellow Americans – the doctors, lawyers, journalists, academicians, and others who quietly disdain working folks”, has been skillfully tapped, according to Bageant, by the Republican Right. People have voted against their own interests because a well-organized and locally engaged Republican party has fed them a deceptive story about why their lives are so hard. He considers this a missed opportunity for a political left that for years has had almost no contact with the working class people he grew up with. He describes the people he went to school with working shifts at the local Rubbermaid factory for twenty years pulling plastic dish racks out of injection molds while listening through headphones to non-stop, toxic and ill-informed talk radio. Rubbermaid is considered a ‘good employer’ – but the management are virulently anti-union and pro-Republican, and staff become aware from the outset the subjects of conversation acceptable to those who sign their paychecks. The extent to which the details of this analysis apply in rural American communities and workplaces is unclear, but the competitive and individualist ‘theology’ is certainly present. The added combination of vehement anti-unionism in the workplace and all-pervasive Republican propaganda suggests that revolution may yet be some way off. Following the cuts in top tax rates by the Thatcher (and Reagan) regimes, keeping those rates at less than fifty percent – and often a lot lower – has become an article of ideological faith. Atkinson proposes significant increases to social benefits financed by a return to progressive taxation in a move to reduce British inequality and poverty from American levels to European ones. Increased tax rates would “finance a significant expansion of the British social security and income redistribution system, notably with a sharp increase in family benefits (doubling and even quadrupling them in one of the variants proposed), as well as a rise in retirement and unemployment benefits for people with lower resources.” He also argues for guaranteed public-sector jobs at a minimum wage for the unemployed, and democratization of access to property ownership via an innovative national savings system, with guaranteed returns for the depositors. When Clinton opened her campaign this past month, on Roosevelt Island in New York’s East River, she put inequality at the front of her agenda, criticizing Wall Street for its greed and inordinate share of the ‘pie’. While the speech was light on policy details, she promised prescriptions that would “reward businesses who invest in long-term value rather than the quick buck—because that leads to higher growth for the economy, higher wages for workers, and yes, bigger profits, everybody will have a better time.” In other words, the tired adherence to an outmoded set of assumptions best summed up as ‘the rising tide that lifts all yachts’. 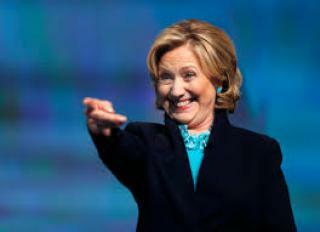 Clinton promised to restore “America’s basic bargain: If you do your part you ought to be able to get ahead.” Everything I have read suggests this is now, and may have always been, wishful thinking and, as such, an irresponsible promise to make to anyone. NYC’s progressive Mayor Bill de Blasio was not buying it. He declined to endorse Clinton – “I’m waiting to hear, as I’ve said, her larger vision for addressing income inequality,” the mayor said recently. “I’ve always liked what I heard from Bernie Sanders.” Any plan to reduce inequalities is going to involve a cost to someone and there is only so far you can push the wealthy elites who will be contributing to the Clinton war chest. 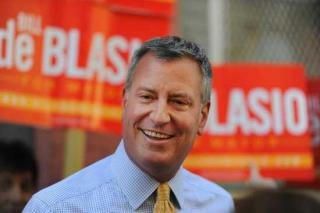 Any plan, said de Blasio, “has to include increases in wages and benefits. It has to include the willingness to tax the wealthy so we can invest in infrastructure, so we can invest in education.” And now we all know now where the benefits of a 25 percent increase in productivity have ended up. The experience of recent decades shows little evidence of a business community inspired to invest in Hillary’s ‘long-term value rather than the quick buck’. As if we need proof after the behavior of Wall Street over the Global Financial Crisis, in 2012 scientists from UC Berkeley produced a paper entitled Higher social class predicts increased unethical behavior. But it seems the poor are getting the picture. In response to the question “Do you think our government should or should not redistribute wealth by heavy taxes on the rich?” Americans, according to Gallup, have steadily travelled left in this respect in the years from 1940 to 2015. From 54-35 against heavily taxing the rich in 1940, they had shifted to 51-45 in favor in 1999. 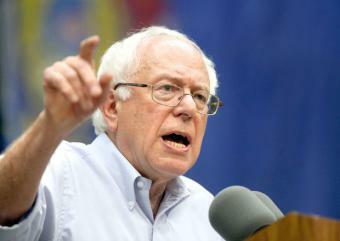 By 2015, those prepared to tax the rich heavily had become the majority, at 52 percent. It is a global phenomenon. 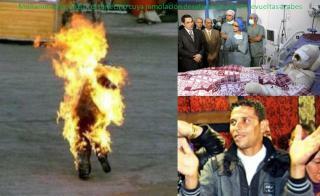 On 17 December 2010, twenty-six-year-old Mohamed Bouazizi set himself alight outside the provincial headquarters of Sidi Bouzid in Tunisia. He was the sole income earner for a family of 8. Police had confiscated his vegetable cart and its produce. In his efforts to resolve the situation he was struck in the face and his dead father insulted. Enraged citizenry subsequently overthrew the Tunisian government. Obviously there was a more comprehensive back-story of impoverishment and repression. On 17 July 2014, police confronted Eric Garner on Staten Island for his suspected sale of loose cigarettes. “Every time you see me, you want to mess with me. I’m tired of it. It stops today,” he said, shortly before being pulled to the ground by several cops and choked to death. Widespread active protests, and further killings by police, followed. Obviously there was a more comprehensive back-story of impoverishment and repression. The outpouring of love and forgiveness that followed the racist attack in Charleston recently, and the relative restraint of the African American population when faced with unremitting persecution by police and municipal authorities, should not imply an endless supply of patience. Something substantive needs to come of this election. There is a vast and growing underclass, of all skin colors, political opinions, and degrees of restraint – people who are fast running out of options. Neither the discredited economic policies – and hawkish foreign policies – of Hillary Clinton ( or who-ever the Republican Party belches up as a candidate) is going to do anything meaningful to address the fundamental nature of the problems America faces right now. But then neither, I suspect, will a popular uprising in a country so deeply divided, mutually uncomprehending, and out of touch with its own origins. Personally, I find the prospect of revolution or mass uprisings in the USA terrifying. There are just too many guns here for a start. Having seen phalanxes of Seattle police in full riot gear and bristling with ‘non-lethal’ weaponry, practically goose-stepping down 1st Avenue, with protesters cowering on the pavement – and of course the heavily militarized response to protests in Ferguson – I want a negotiated solution. Can Bernie Sanders do more than just push Hillary Clinton a bit to the left in the run up to the primaries? Could he start ‘the conversation’? Force a substantive break with the neo-liberal daydream? Could his focus on human wellbeing, redistribution of wealth, and his charisma shift the way people start to talk to each other about economics? Here in the land of Wall Street – the engine-room that currently harms us most – it seems to be working on the Mayor of New York City.